[SatNews] ETL Systems has been chosen by Intelsat to upgrade its teleport facilities. Intelsat provides satellite services worldwide, and operates a fleet of approximately 50 satellites and the IntelsatOne® terrestrial network, featuring eight strategically located teleports and more than 36,000 miles of leased fiber. ETL Systems has supplied Intelsat with specialized RF equipment to monitor and control global satellite traffic at its teleports in the U.S. and overseas. It is imperative that Intelsat personnel at each teleport are able to monitor the signal strength of each line of communication from the various satellites. 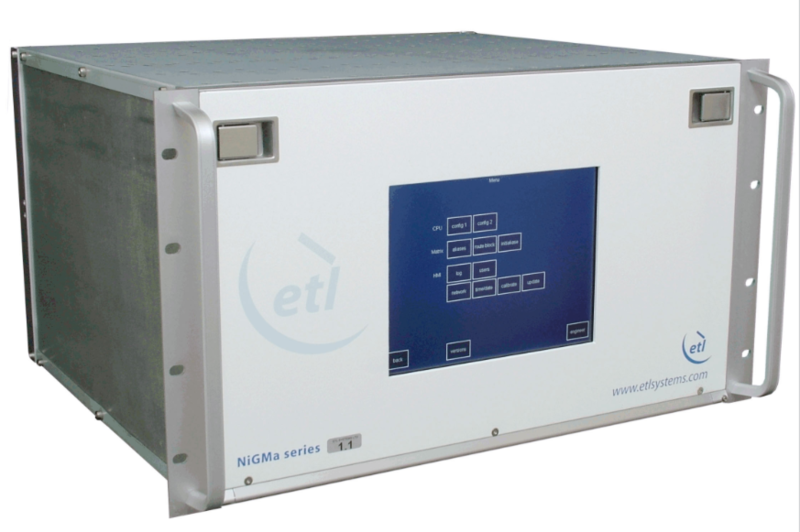 ETL Systems' Enigma routers give operators exceedingly quick switching time that allows continuous cycling through the various channels to prevent any outage going unseen. "Intelsat's satellite, teleport and fiber infrastructure is unmatched in the industry, and it is essential that our teleport facilities have the best technology and equipment in order to support our customers around the globe," said Butch Philbrick, Vice President, Teleport Operations, for Intelsat. "This is why extending our relationship with ETL Systems was the best choice. The addition of the Enigma routers in our operations will enable our personnel to monitor multiple projects with complete confidence." The Enigma matrix also has alarms that customers set and thresholds, so that if a signal should weaken in one area, physical and virtual alarms will notify the network operations center that immediate action must be taken. The equipment comes as a complete system with specially designed software that allows Intelsat's teleport operators to view up to 32 simultaneous open sessions for carrier monitoring. The 32 x 32 matrix can be modularly expanded as large as 256 x 256 and features dual redundant power supplies. All RF components are fully hot-swappable. "We are very pleased that Intelsat has chosen our RF equipment to upgrade its teleports," said Susan Saadat, Vice President of ETL's North American Sales and Operations. "ETL Systems only produces the most reliable and resilient equipment for the best RF performance and we are confident that Intelsat will be very satisfied.